The standard version of the Companion SQR. The hang gliding version of the Companion SQR. The ultralight version of the Companion SQR. 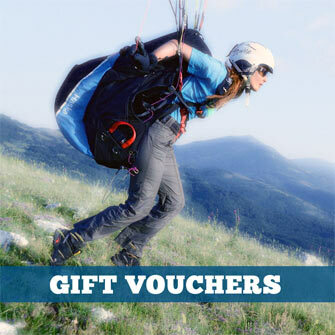 Non-refundable deposit towards buying a wing, harness and reserve from Flybubble, valid for 12 months. 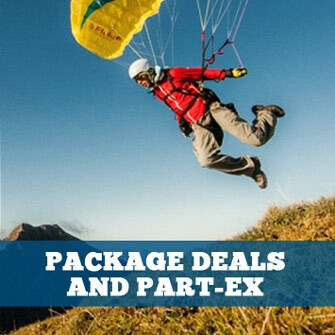 The G-Lite is an annular pulled-down apex (PDA) emergency reserve parachute for paraglider and paramotor pilots. For pilots who prefer to fly with a front rescue, the Gin Rescue Cockpit can be used with most harnesses and rescues. The Yeti Cross is a lightweight, square-type emergency reserve parachute for paragliding and paramotoring, developed by Gin Gliders. It offers a stable descent with excellent sink rate and opening characteristics. The new GIN Yeti Light Rescue paragliding and paramotoring emergency reserve parachute is—like its competitors—ultra-light and ultra-compact, but it offers 40% more surface area. The Cires is a classic round Pull Down Apex (PDA) emergency reserve parachute, but with a higher overall quality and performance level. Safety, lightweight and practical. Safety through innovation: the PENTAGON parachute distinguishes itself through innovative design, combined with high-quality materials. After deployment, the PENTAGON impresses with rapid opening, immediate oscillation damping and a low sink rate. The result is a rescue system you can fully trust in any situation. Everyone needs an Angel… even though no one really wants to use theirs. Acro harness equipped with a specially designed emergency cut-away system which releases the wing and automatically extracts a BASE jumping parachute.